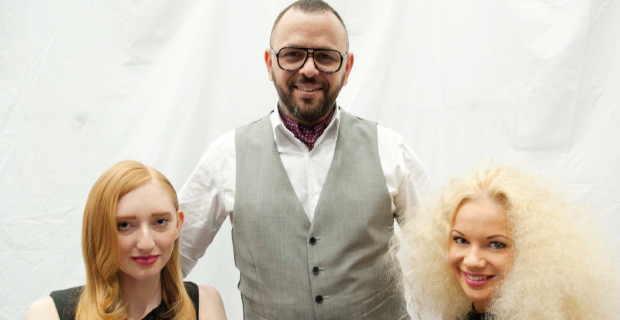 London hairstylist Vas Karpetas has worked with celebrities such as Kiera Knightley, Jude Law — and The Sheffield College students. He used the students as models when he was invited in to demonstrate the latest on-trend styles. Vas said: “There are so many different career options within hairdressing, including editorial work, fashion, film and television and the theatre as well as working in salons. The event was held as part of the college’s Industry Week, which offered specialists the chance to showcase their skills in barbering, hairdressing, bamboo massage, eyebrow threading, hair extensions, make-up and Afro-Caribbean hairdressing. Principal Julie Byrne said the college was “delighted” by Vas’s “inspirational” visit.